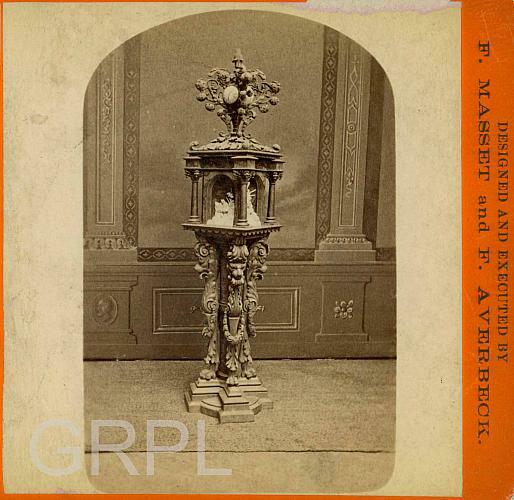 F. Massett and F. Averbeck, furniture carvers in a local factory, won a prize at the 1876 Philadelphia Centennial for the elaborate woodcarving shown in one-half of this stereo photograph. A round clock is embedded in the ornament at the top of the schulpture. Title by Cataloger. Both Ferdinand Massett and Ferdinand Averbeck were in Grand Rapids little more than a year or two. 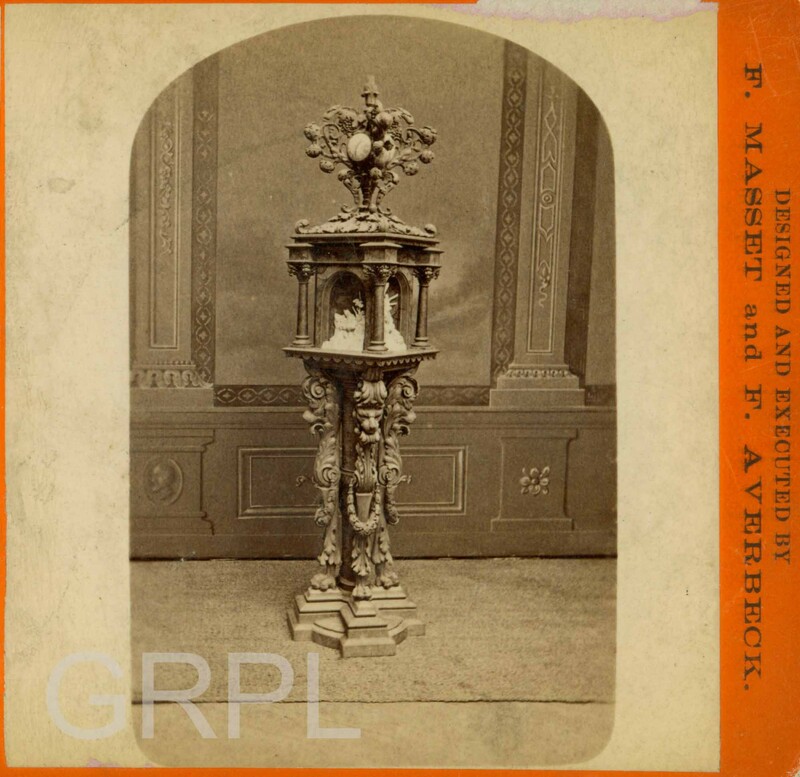 Masset, from New York City, was a wood carver as early as 1860. By 1900 he was a designer and sculptor in Chicago. Averbeck, son of a carpenter, worked at Phoenix Furniture Co. as a wood carver but left for Connecticut where he worked as a carver, possibly in a clock factory. Widdicomb Furniture was also a prize winner at the Philadelphia Centennial and it helped promote their furniture and Grand Rapids as a furniture producing center. #76, Stereo Card Collection, History & Special Collections Dept.